During a recent trip to the Forest of Dean I spent a day walking along the River Wye, the fifth longest river in the UK. The river stretches from it’s source in the Welsh mountains for 134 miles and forms part of the border between England and Wales. 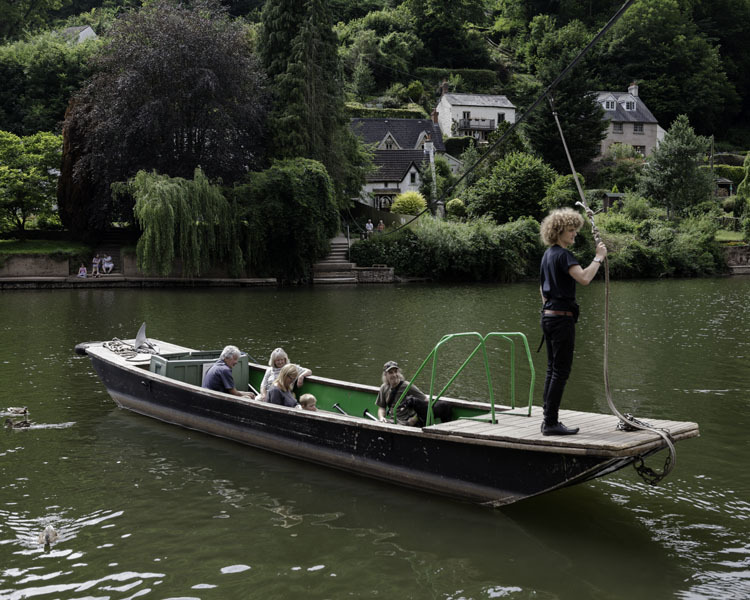 It flows past several towns and villages including Hereford, Hay-on-Wye, Ross-on-Wye, Monmouth and where I took these photographs at Symonds Yat. 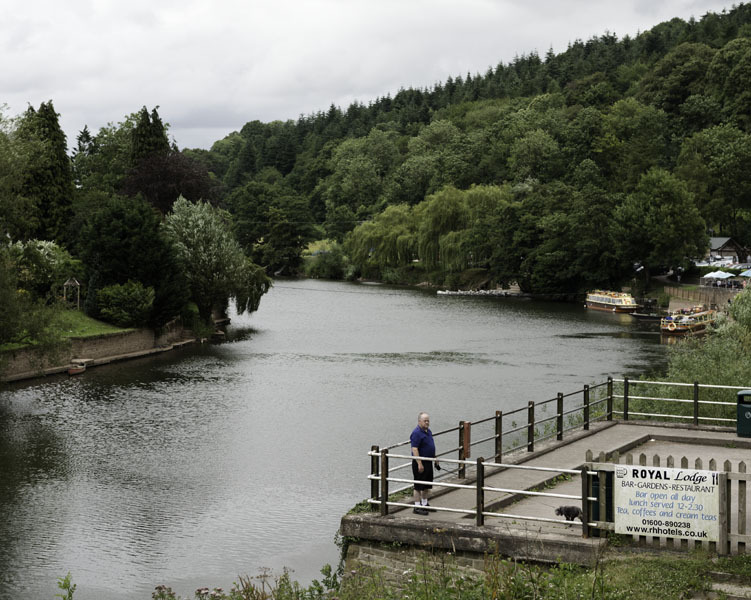 I was particularly excited to visit the river as it is where William Gilpin (1724 – 1804), the English artist and clergyman, made his seminal work Observations on the River Wye (1783). Gilpin is now largely considered to be the originator of the idea of the picturesque. Gilpin’s principles of picturesque beauty were based largely on his knowledge of landscape painting. While he felt that nature was good at producing textures and colours, it was rarely capable of creating the perfect composition. Gilpin thought it was the job of the artist to do so, perhaps in the form of a carefully placed tree within a composition. During the 1760s and 70s he travelled extensively in the UK applying these principles to the landscapes he saw and committing them to his notebook. He later published them in Observations on the River Wye and the work went on to launch the picturesque movement. Gilpin’s book acted like a guide for those exploring England at the time but would go on to change our way of looking at the landscape forever. 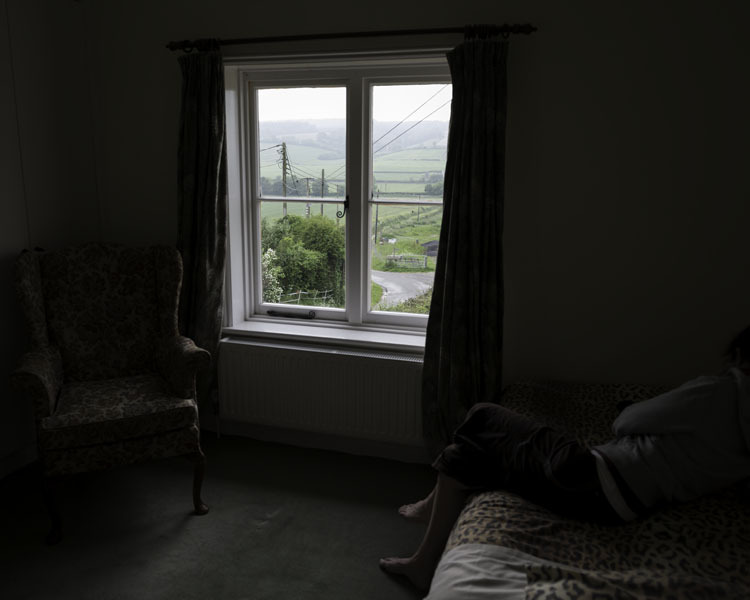 My series All Things Pass has been featured as part of David Boulogne’s 2012 Pics Project. It is a collaborative project bringing together photographers that have captured the East End of London before and after the Olympic games. David Boulogne is the curator of the project and you can read his review of my work here. My work will also be featured as part of a show that David will be curating soon in the East End. 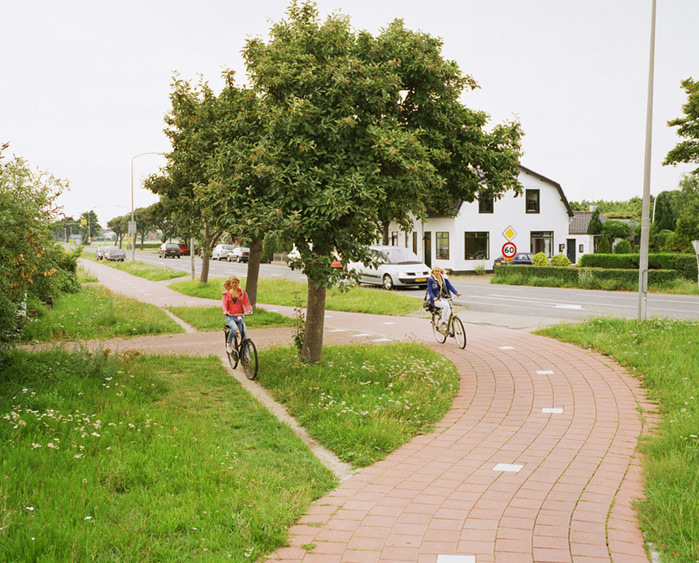 I was delighted to come across the series Olifantenpaadjes, otherwise known as Desire Lines, by Dutch photographer Jan-Dirk Van Der Burg. A desire line is a path created by a continuous passing of people over a singular piece of land. The path usually represents the shortest or most easily navigated route between two places and is often a shortcut between other constructed routes. The image of a path created by people walking or cycling is seen by some as a small act of defiance against those paths mapped out for us by society. 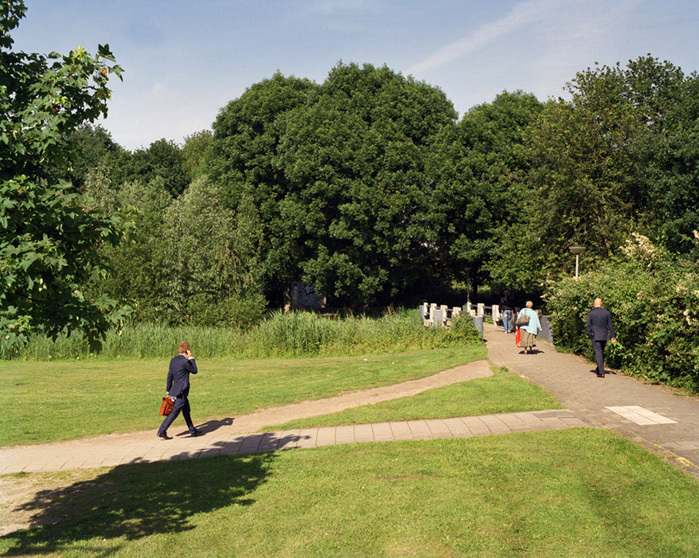 The book Olifantenpaadjes, first published in 2011, offers 77 examples of these unofficial pathways. Pedestrians can be seen traversing pavements whilst evading traffic-safety barriers and avoiding designated pedestrian areas. Jan-Dirk Van Der Burg explores this curious phenomenon with his remarkably well crafted medium format photographs. 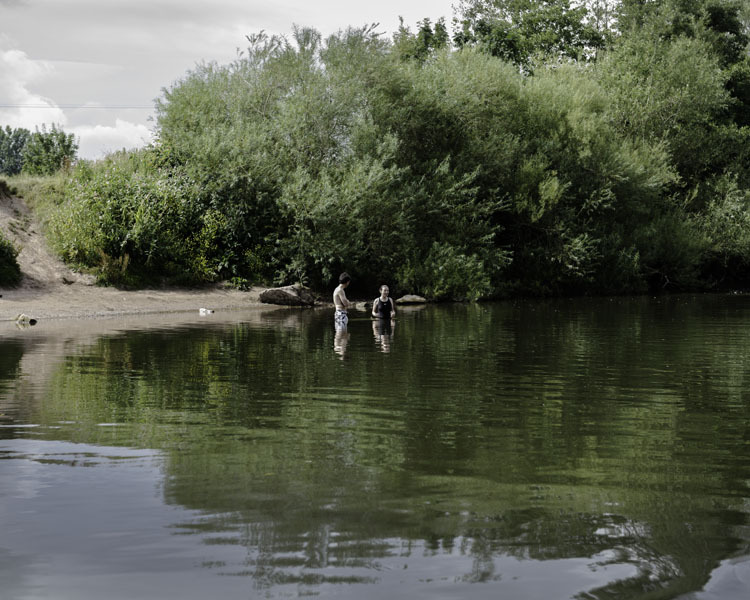 For me his images have a similar european feel to them as the work of Joachim Brohmn, Hans van der Meer or the early work of Andreas Gursky. This wonderful collection of photographs not only demonstrates our defiant desire to not keep off the grass, but also humorously depicts how inherently lazy and impatient we can be when faced with the simple task of getting to where we want to go. Something I’m sure we can all relate to. 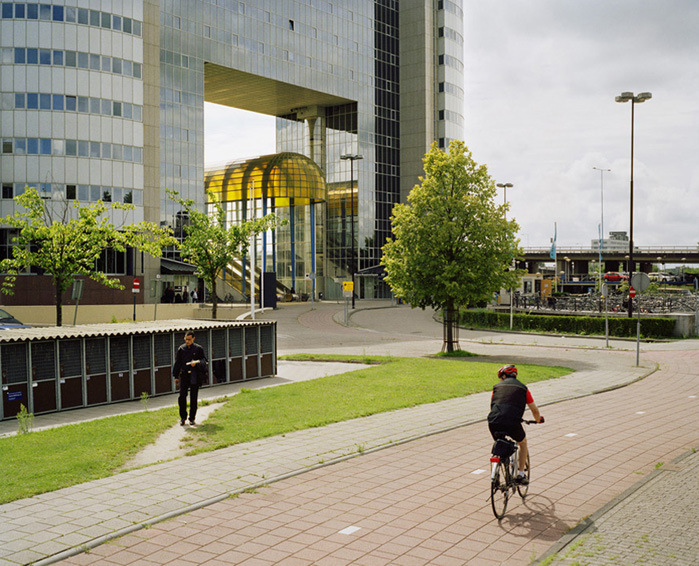 You can see more of Jan-Dirk van der Burg’s work on his website here. Lately I came across this incredible project from writer Paul Salopek called the Out of Eden Walk. 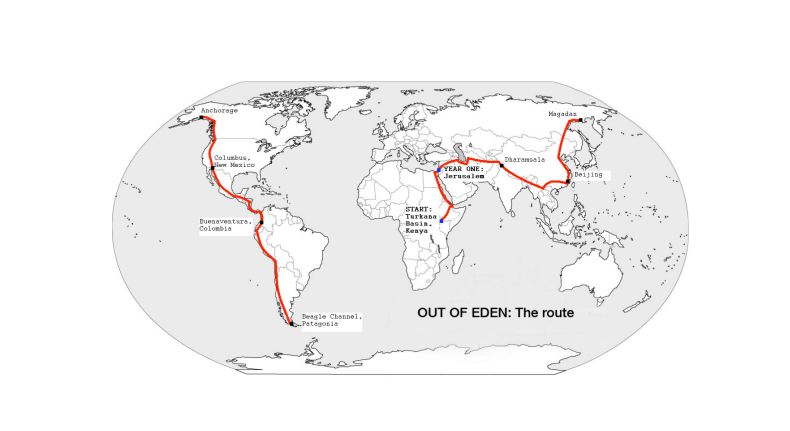 From 2013 to 2020 he is retracing on foot the migration of the first human beings from Ethiopia to Chile. Along the way he is engaging with issues such as climate change, mass migration and cultural survival. Check out the website here and there is also a crowdfunding campaign where you can help support the next leg of the journey here.